FRANKFURT MUSIKMESSE 2010 PRESS RELEASE: Steinberg is proud to announce a forthcoming major update to its industry-standard Audio Editing and Mastering Suite. WaveLab 7 represents a new benchmark for audio editing and mastering for Mac, while adding new capabilities to its previous Windows incarnation. Among the new features is a unique GUI concept that allows fast and fluid handling of audio material across multiple windows, montages and podcasts with an intelligent docking and scaling system as well as new VST3 plug-ins and restoration tools, a new CD and DVD-A burning engine and much more. WaveLab 7 will be available in the second half of 2010 from authorized Steinberg resellers, and will cost €599/£510*. "This is a landmark release for WaveLab and for the Mac audio community," comments Timo Wildenhain, Steinberg's Product Marketing Manager for WaveLab. "WaveLab 7 means that Steinberg now offers an end-to-end production solution on Mac OS X that offers industry-standard tools all the way from music creation, production and mixing right through to the final master. 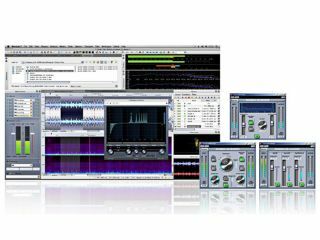 WaveLab 7 has been completely reengineered from the ground up to offer complete compatibility for Windows and OS X, extending Steinberg's commitment to cross-platform support to the audio editing and mastering arenas in which WaveLab has become an industry standard on the PC," Wildenhain continues. The new WaveLab 7 user interface handles audio material faster and more intuitively, speeding up workflows in audio editing and mastering with an ultra-fluid, intelligent and completely customizable window and toolbar management system. WaveLab 7 also includes a restoration tool package provided by leading plug-in manufacturer Sonnox and encompassing specialized DeNoiser, DeBuzzer and DeClicker plug-ins, while a range of additional VST3 plug-ins includes a range of tools previously available in Steinberg's music and audio production applications including the Nuendo Post Filter plug-in, further expanding the functional depth of the onboard audio toolset. A completely new CD and DVD-A burning engine rounds off the functional additions to WaveLab 7.